Well, the Crown Range anyways. 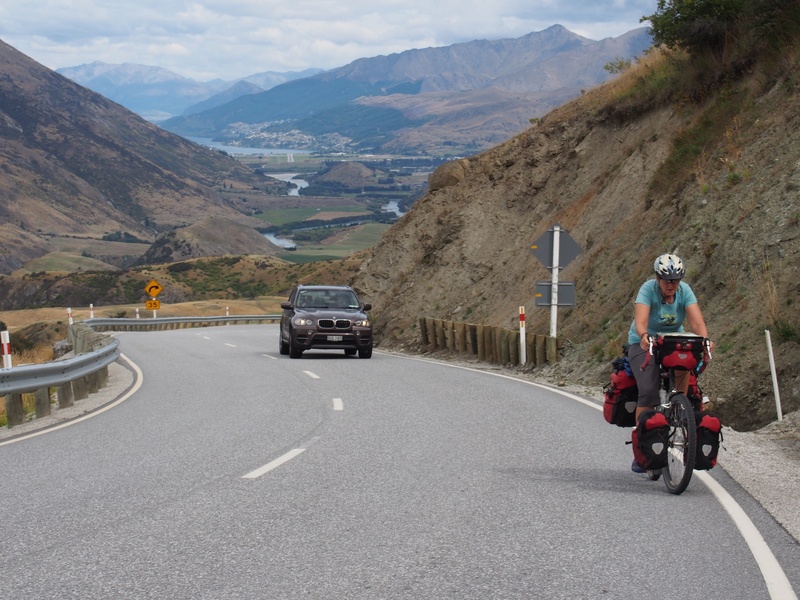 There are a pair of ways to get from Queenstown to Wanaka on a bike. 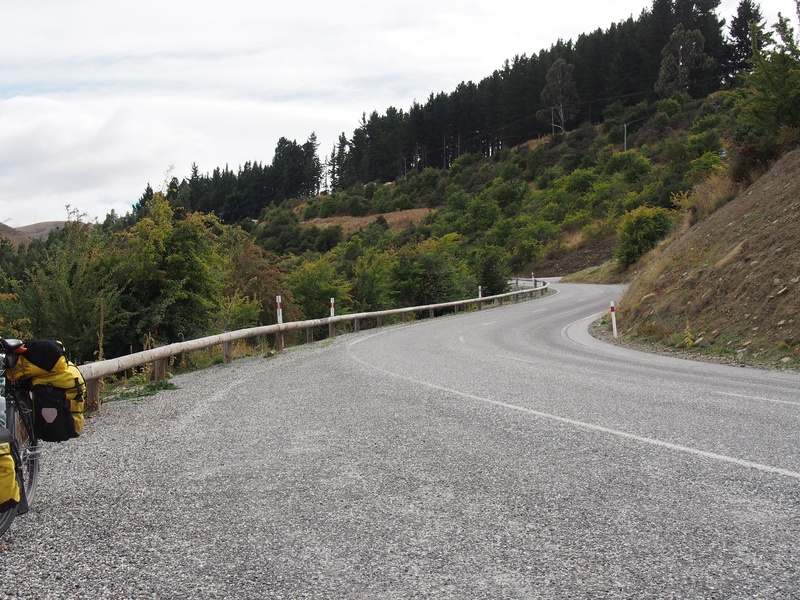 You can stay on the highway and go through Cromwell – the stone fruit capitol of New Zealand. 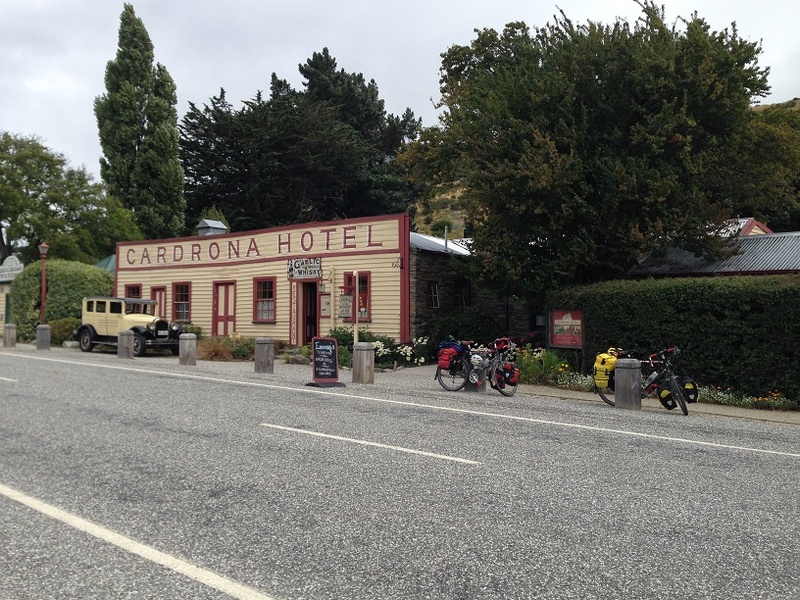 Or you can head to Arrowtown, a cute historical replica town – with overpriced ice cream (or any food for that matter) and then head up and over the Crown Range. Those who wish to venture off road can take several tracks to connect up to the Crown Range highway. 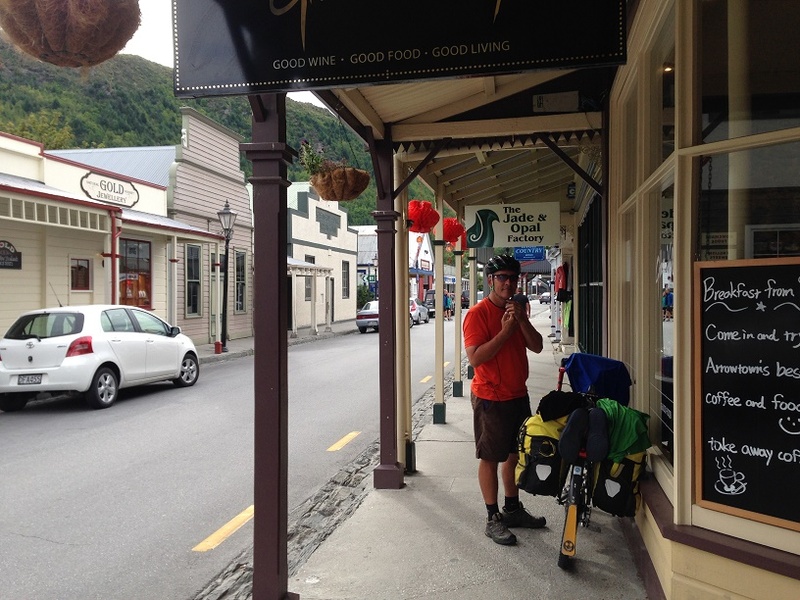 We opted to head through Arrowtown – where we actually stayed in the camp ground for a night to escape the madness at Queenstown. Queenstown has its charm, particularly for the adrenalin junkies, the wealthy tourists or those looking for some amazing tramps (hikes). 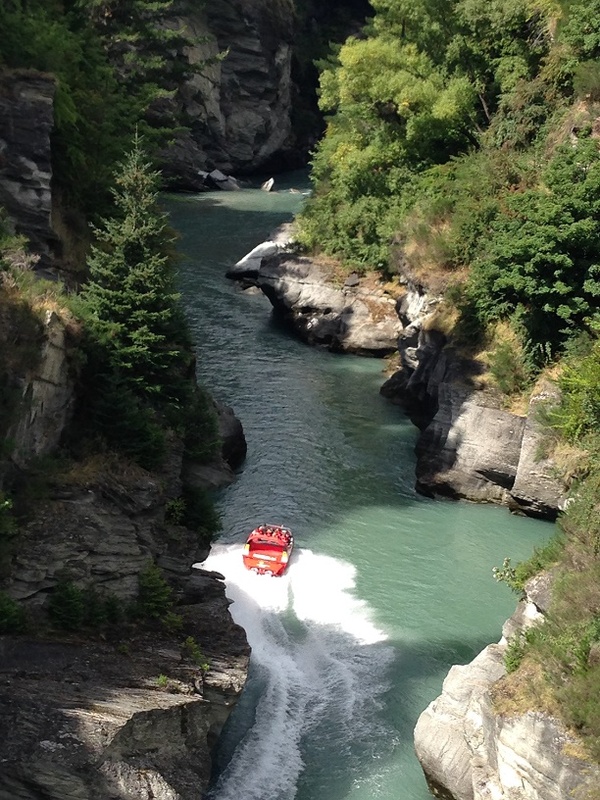 The scenic tourist town sits on the edge of Lake Wakatipu surrounded by stunning mountains. You can easily drop $200-500 for a five minute thrill. All matter of gliding, sky, para, or hand, bungy jumping, jet boating, these crazy hydro jet ski things – anything adrenaline – you can find it there. 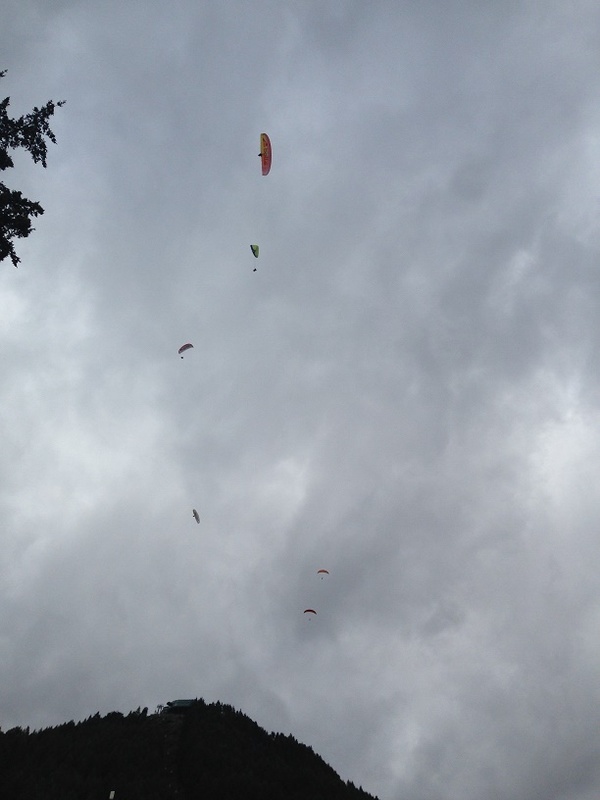 Paragliders dropping out of the sky over Queensland- on the hour. We arrived in Queenstown on a Saturday after a fun couple of days in the backcountry and found a camp spot in an in-town holiday park- the cheapest accommodation going. It seemed that the whole town was partying that night, the last drunks went to bed around 4am – of those that actually went to bed! 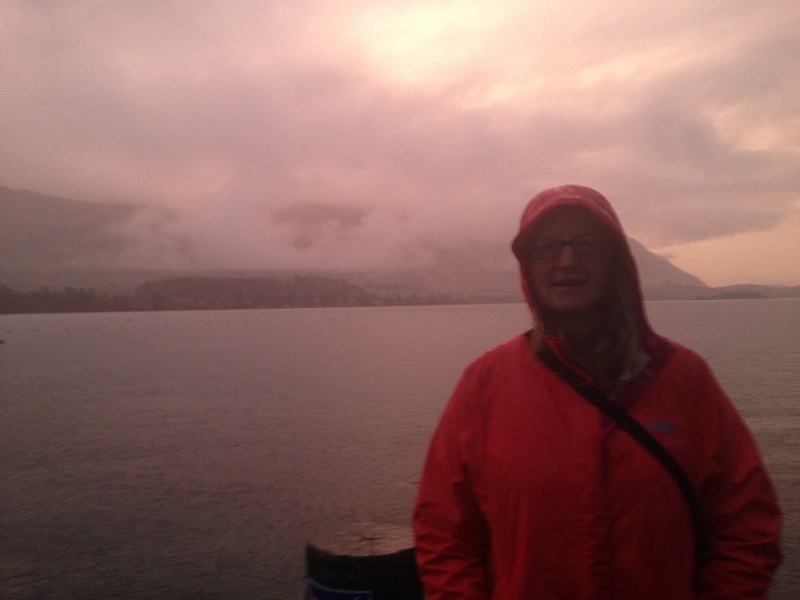 We did enjoy watching the sunset with the young folk out at the Queenstown harbor beach – apparently the spot to go with your beer or wine and hang out if you can’t afford the bars. Sunday morning was the best time for us in Queenstown – as everyone else was sleeping in – go figure. 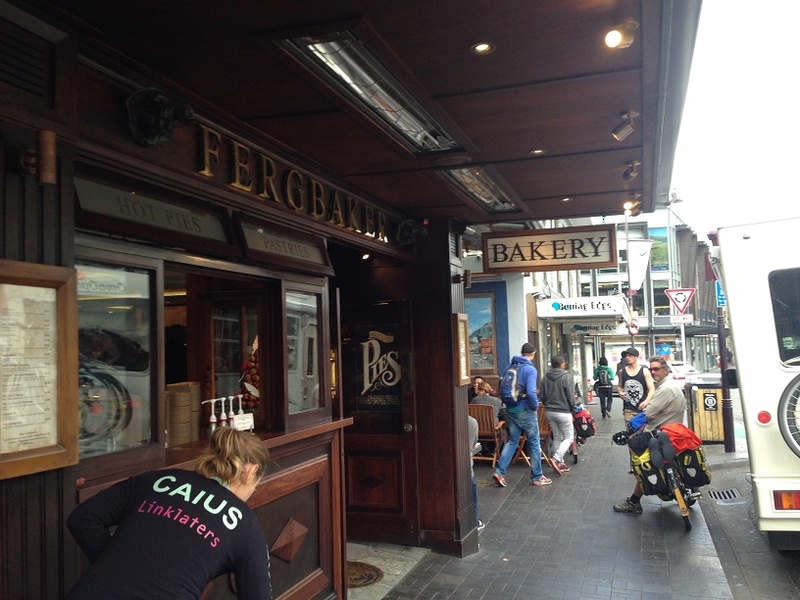 We found there was no line at Fergbakery – a famous and very yummy spot to get some treats for the road. 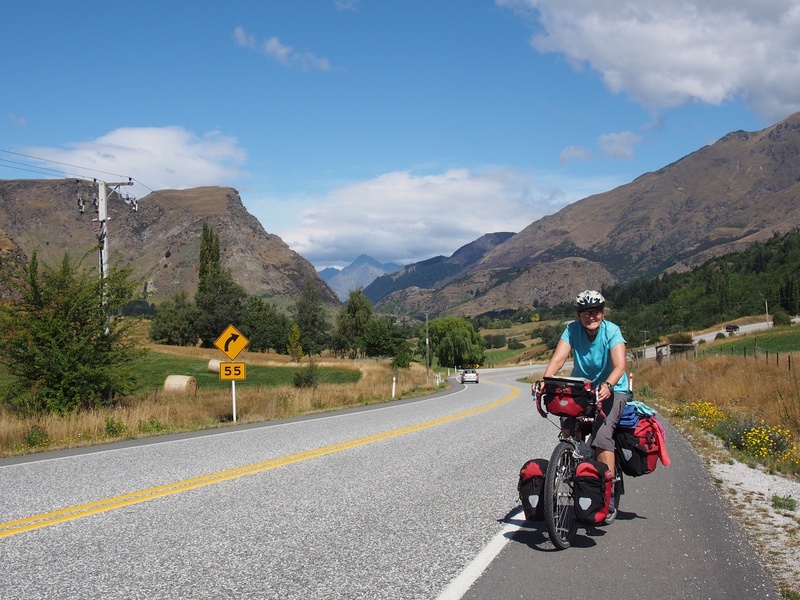 We decided a second night was not necessary in Queenstown and headed along the highway on the short ride to Arrowtown for a very peaceful night in a quiet spot under the mountains on a crystal clear night. Much more our style. 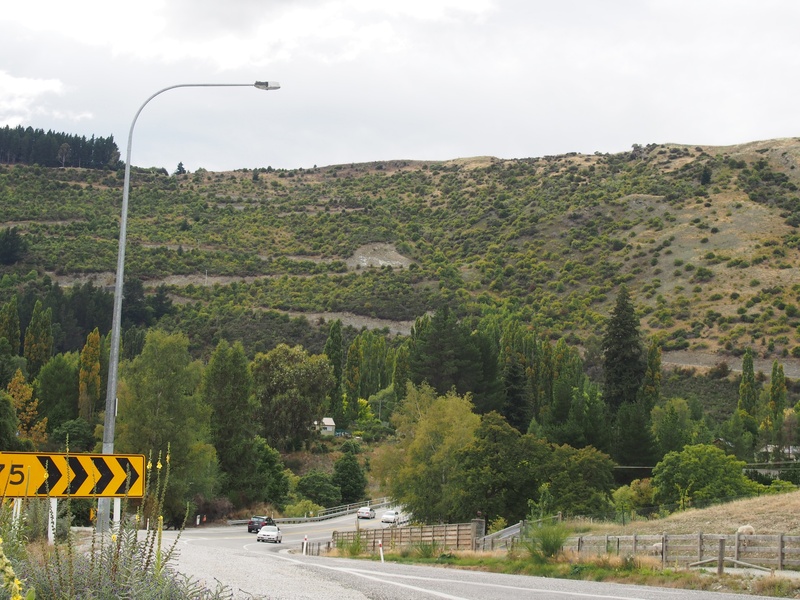 From Arrowtown we headed up and over the Crown Range toward Wanaka. We knew the ride to the summit was going to be tough and were mentally prepared! Over 800m of climbing in less than 10 Km. The views from the top made the ride 100% worth it! The first set of switchbacks for the day. Looking back down the road on the climb up. What we did not prepare for was the 40 or so kilometers of downhill. 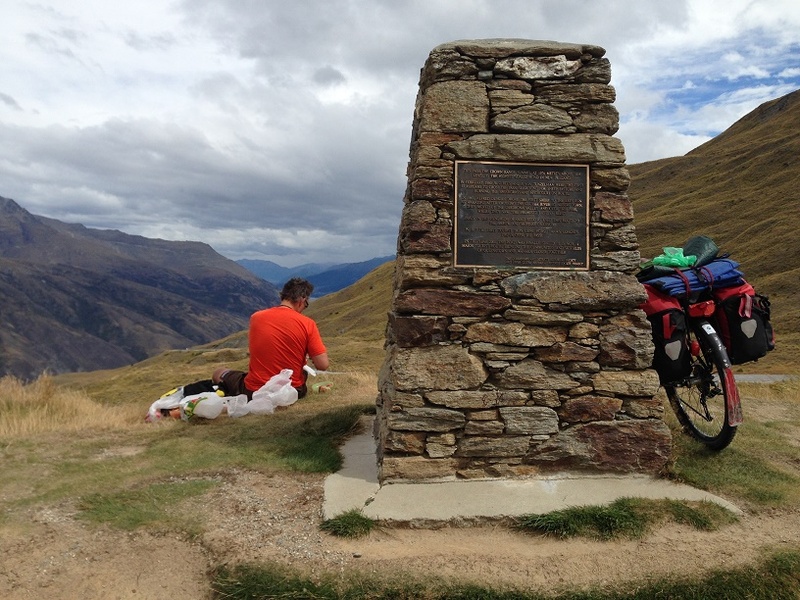 We had visions of coasting into Wanaka from the top. Not to be. 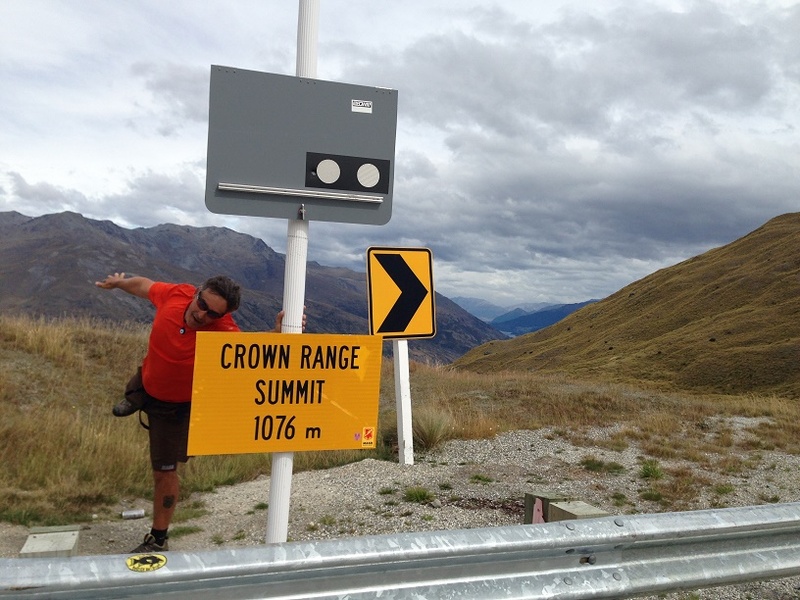 The infamous New Zealand headwind made sure that our downhill was almost as difficult as our uphill. 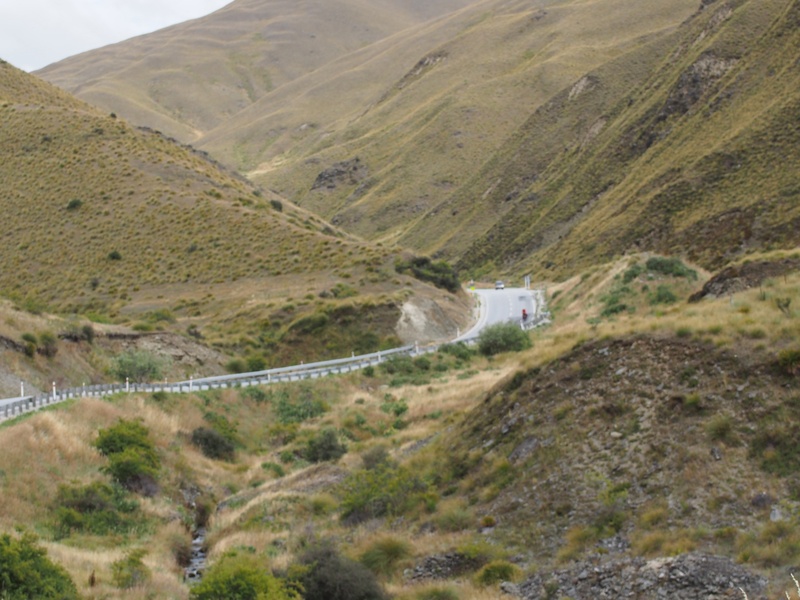 The Cardrona Canyon was a beautiful ride down a two lane twisty road with steep mountain walls on either side. Perfect for the blowing wind to funnel all the way to the top. At least going slowly downhill we were able to take in more of the sites- when we weren’t cussing out the wind. JP descending slowly down the Cardrona Canyon. A Rainy sunset at Lake Wanaka.